It has been a little over two weeks now with the Novation Circuits. I am having a good time with them, but I have quickly hit a wall with the learning curve. The quick jam sessions are fun, but taking the next step to actually try and create some songs are proving difficult for me. I think this is mostly due to me needing to actually learn the kits. I have gone through the quick start guides, but a full reading of the manuals is in order, especially since there have been numerous firmware updates to these things over the past year. I am already beginning to think about what sort of additional equipment I might want to add to these to build out the sound palate. A modular synth is enticing and I have seen several setups using one. 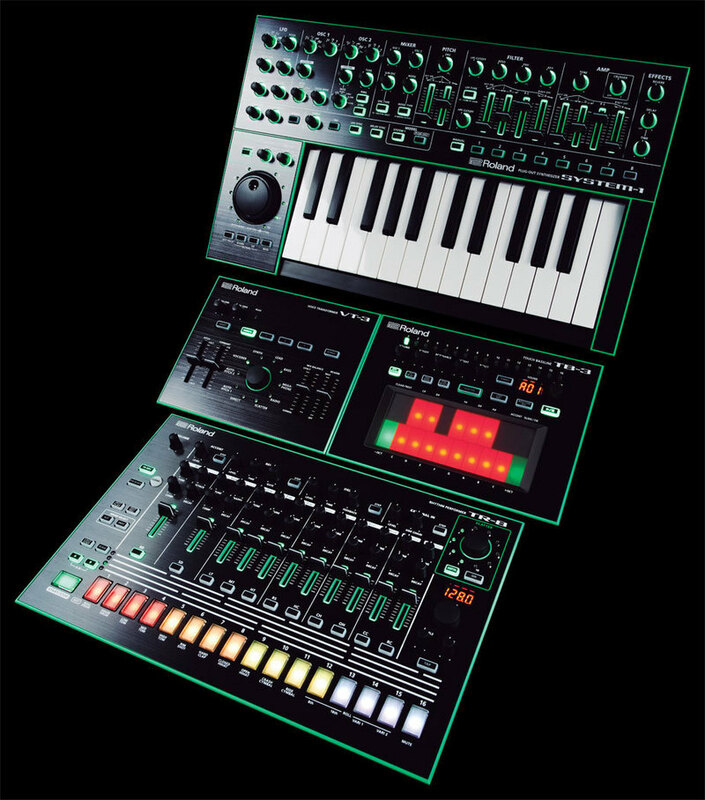 The Roland Aira line looks like it could also be an excellent complimentary set of equipment for the Circuits. The Aira line not only has the looks, but possibly the interface for a sort of hands on performance aspect to what I want to do with these Circuits. The MX-1 mixer looks perfect for this sort of setup with 6 audio inputs, AIRA integration and live performance effects. Where I go from there is the real question. Do I need the TB-3 baseline synth? How about the System 1M for deeper synthesis, or perhaps the SP-404A for more percussion and sampling. I don't know where I will end up, but I think the next couple of months could be fun. It has been years since I have really purchased any new music hardware for my music setup. It is hard to believe that most of my equipment is 10+ years old now. About two years ago I was looking at some new hardware, but I was unable to find anything that I liked. I settled on an effects pedal to spice up the sounds of my Korg EA-1, and that has worked out great. I have still been wanting to try and find something different. I love most of the gear that I am working with, but at times, I find that it can be a bit cumbersome. What do I mean by that? Well, the Command Station is a wonderful sequencer as are all of the other synths that I have, but I often feel that I have to spend a lot of time trying to create the sounds before I can create the music. They don't necessarily lend themselves to improvisation. I also find myself getting fixated on the minutia of the sequencing. That isn't a bad thing, but it does lead to instances where I end up not doing music for months because I look at the gear and see a "process" of several hours in an afternoon of noodling around without much process. I have wanted to try and find something that can provide me some "instant gratification" for quite some time. A box that I could instantly sit down in front of to get some notes playing and also make live-streaming more fun. I looked at the Korg Volca series and several other synths, but I decided to go with the Novation equipment for one primary reason. There is no screen. Novation's motto for these little boxes is something like "happy accidents"
This is exactly the type of gear I am looking for. Something to crank out some fun tracks on, where I don't have to worry about them being polished studio productions. I hope they can get me to play live more on Twitch. My first couple nights with the boxes has been fun. The interface is hard for my mind to digest and I am intentionally avoiding reading any sort of manual at this time. I hope to get them properly setup this weekend for some streaming and jamming. What is going to happen to my other gear? So, I think I am going to downsize quite a bit. I will keep my EMU Command Station, since it is the best sequencer ever made in my opinion. The sound engine on that is unique and quite good for ambient, something else I want to get into. Everything else might end up going. I think I am more excited to offload most of the equipment to allow me to purchase some effects or something for the Novation or EMU.